Douglas Crow had a love for bikes of all types. Photo: Courtesy the Crow Family. Douglas Crow had a love for riding bikes – a hobby that would not only be omnipresent throughout his life, but also in the last moments before his death. 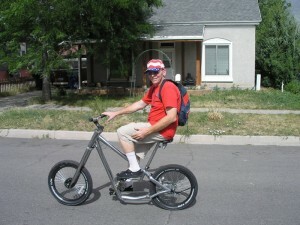 Crow – a resident of Provo, Utah – would often take a bike on family vacations to explore places on quiet morning rides, said his son Nick Crow. But February 15 marked Crow’s last morning ride, which ended abruptly when Crow was hit first by a 49-year-old woman driving a Cadillac Escalade and seconds later by a passing Frontrunner train. It appeared as though the woman driving the Escalade struck Crow as she was turning left from 600 South onto northbound 700 West in Provo, which knocked Crow off of his bicycle, said Provo Police Sgt. Mathew J. Siufanua. Police believe Crow was on the tracks before being hit. It is unclear as to whether he was attempting to cross the tracks or if he was at a standstill at the time of the accident, Siufanua said. Witnesses told detectives that the barrier arms and flashing lights initiated at the railroad crossing seconds after the crash occurred. The woman was able to move her vehicle out of the way, but Crow was not able to get off the tracks in time, Siufanua said. “After being hit by the automobile, the victim was alive. He was dazed and moving around, but unfortunately he was hit by a train that was traveling at a speed of 30 miles per hour,” Siufanua said. Emergency personnel administered CPR on the scene and rushed Crow to Utah Valley Regional Medical Center, where he was later pronounced dead from severe head and other injuries, Siufauna said. No citations were initially issued, but the 49-year-old driver – Maria Fregoso-Avina – was formally charged Thursday with a class A misdemeanor negligent homicide, and two class C misdemeanors for failure to maintain a proper lookout and driving with an obstructed windshield. When police arrived to the scene of the accident, the driver’s windshield was almost entirely frosted over, Siufauna said. “The driver could not see the cyclist. In fact, only an area about the size of a credit card had any visibility,” he said. Crow ran the custodial staff at Brigham Young University and had been employed there for 30 years, Nick Crow said. Crow enjoyed his job because his schedule allowed him to have afternoons free to enjoy recreation. Crow was a family man. He raised seven children with his wife, Nellie, whom he met at Dixie State in Saint George, Utah before moving to Provo. Nick Crow said his father worked hard for their family and always kept his word. Crow enjoyed spending time with his children, Nick Crow said. Every year, Crow and his sons looked forward to a mountain bike excursion at one of the various ski resorts. Nick Crow said his father was a collector and always had a project going on. He had a collection of antique bottles that made him very proud and he enjoyed refurbishing old beach cruisers for years. Crow was also a fascinating storyteller, Nick Crow said. When Crow was growing up in Palm Springs, CA, his father worked for Howard Hughes. Crow became fascinated with Hughes and aviation, and eventually wrote a book about his father’s experiences. But Nick Crow said the most important thing he’s ever learned from his father is that there are no handouts in life. 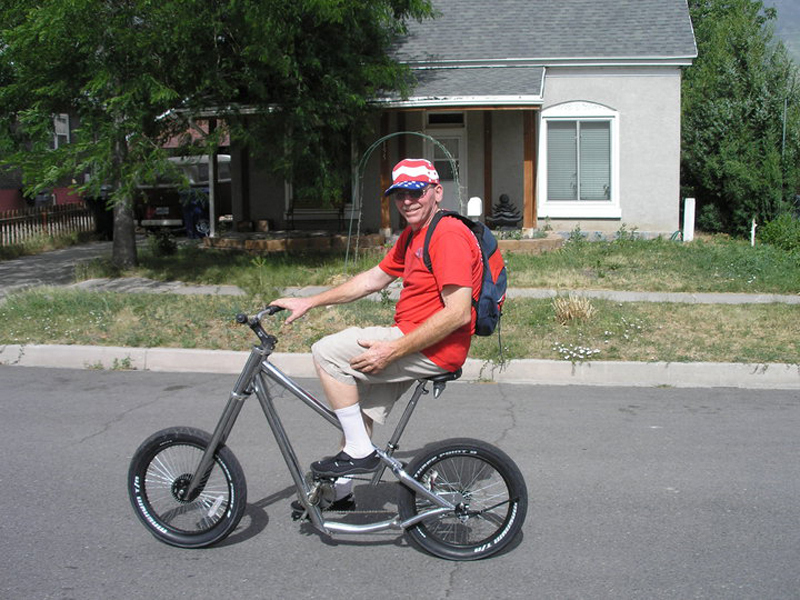 Crow’s life was commemorated with a Ride of Silence in Provo City on Monday and a “ghost bike” was placed on the street to honor a life cut short.